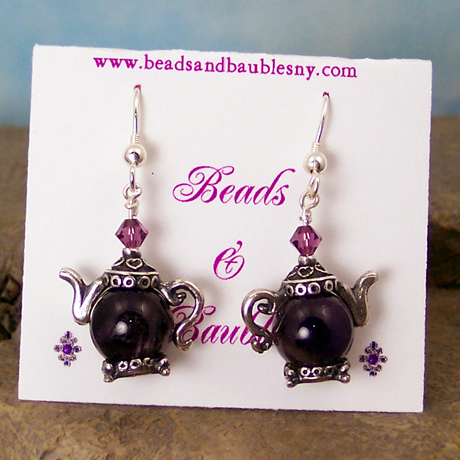 Sterling silver french hook ear wires with drops made from 10 mm Amethyst rounds and pewter bead caps made to look like tea pot parts. Accented with Swarovski crystals. Rubber earring stoppers included.